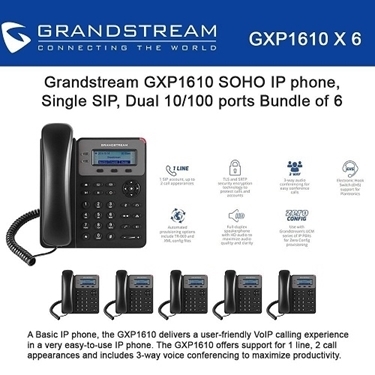 The Grandstream GS-GXP1610 Small Business 1-Line IP Phone is a simple-to-use IP telephone system for small-to-medium businesses (SMBs) and home offices. 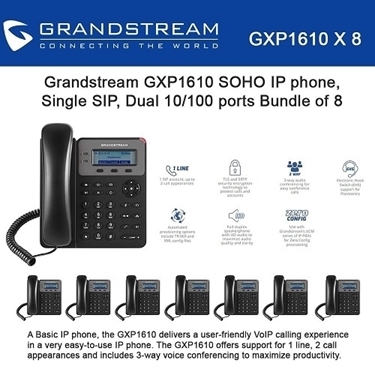 The Grandstream GXP1610 Single line VoIP Phone with a 132x48 pixel LCD display. 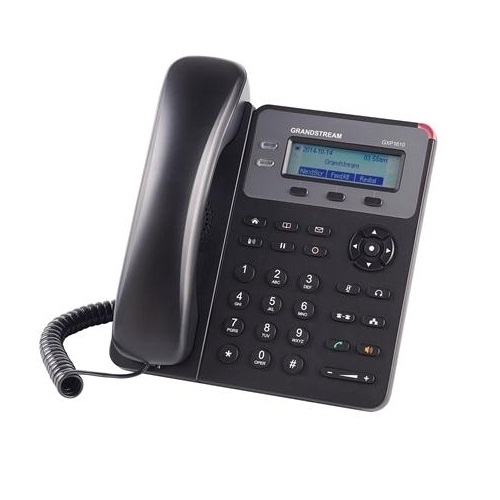 This Linux-based model features single SIP account, up to 2 call appearances and 3 XML programmable soft keys. 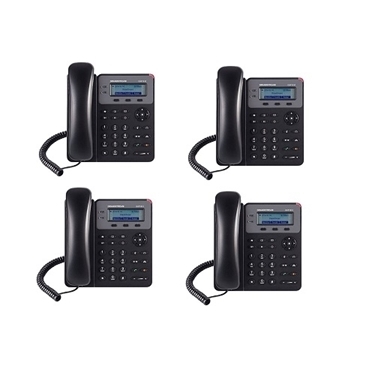 A 132x48 LCD screen creates a clear display for easy viewing. 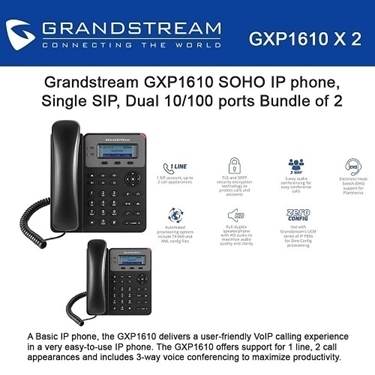 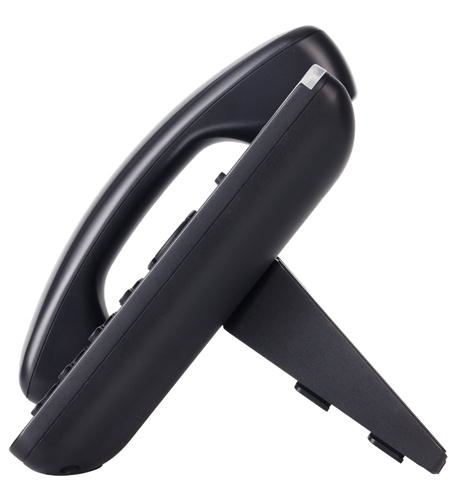 Additional features such as dual switched 10/100 Mbps ports, multi-language support, Electronic Hook Switch support for Plantronics headsets, call-waiting and 3-way conferencing allow the GXP1610 to be a high quality, user-friendly and dependable enterprise IP phone. 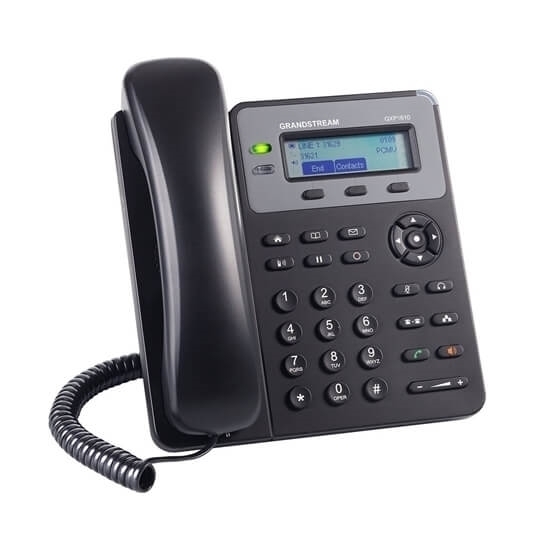 The GXP1610 is a simple-to-use IP business telephone system for small-to-medium businesses(SMBs) and home offices.This Linux-based model features single SIP account,up to 2 call appearances.